Appearance is sometimes deceptive. 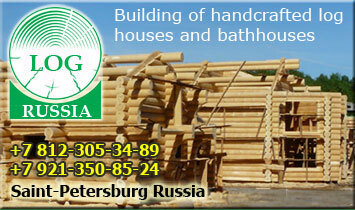 It concerns to manufacturing techniques of wooden homes and bathhouses made of a round log . 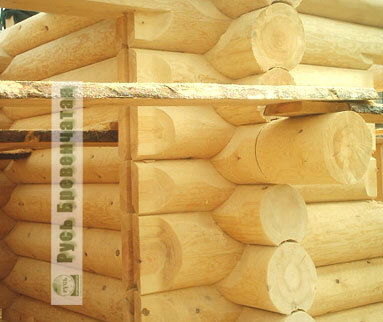 Let's look narrowly at appearance of a log house directly after construction. We will look at the house from side. 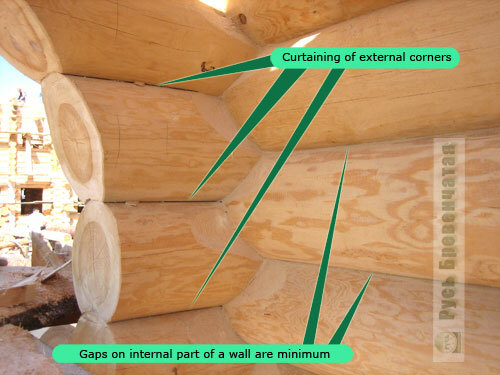 Pay attention to size of gaps between logs on internal part of walls (i.e. between corners) and on corners. Gaps are minimum - all looks perfectly. But we will not hurry up, we will wait 3-4 years. 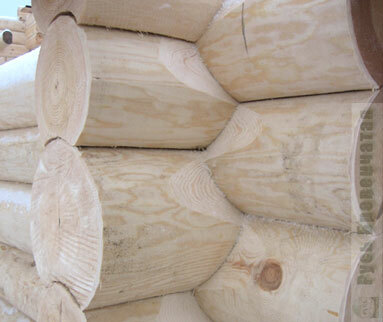 For this term house will shrink at the expense of shrinkage of logs (5-10 % from diameter of logs). Let's look what will turn out as a result. If house had identical shrinkage on external corners of the house and on internal walls, all would be remarkable - gaps everywhere would remain insignificant and your house would stay warm and beautiful. But here features of wooden house construction come into force (about which, unfortunately, many building companies do not know). 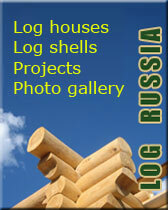 Masters of "Log Russia" have a long-term experience of building of wooden houses, and not only for Russia, but also for Norway, Germany, Spain and other countries of Western Europe. We always try to study new, to adopt useful experience, to introduce it, receiving gratitude of our Customers. So was and with this technique transferred to us by our German colleagues. So what will occur with our house in some years? 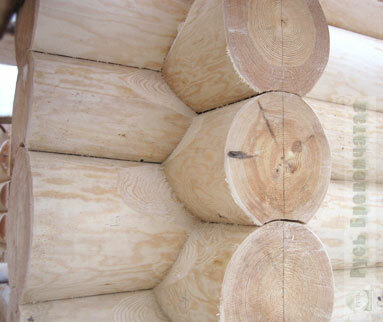 Nuance is that logs in external corners always have the bigger humidity, than a material of the basic (central) part of a wall thereof shrinkage of external corners will be smaller. And as so, "hovering of logs" will happen in the central part (they will lean against corners) that will inevitably lead to cracks, especially on internal surfaces of walls. For elimination of consequences of this problem the large quantity of hermetics and pastes is issued in the world. Pay attention to the following photos (it is a photo by Perma-Chink). Would you like to close up seams in your house for the rest of the life? If no, it is necessary to pay attention to an offered technique. Certainly, it will not solve all problems with shrinkage, but will essentially reduce them. The German (it is an element of Canadian) technology of building of houses is represented here. Pay your attention to drawing 1. 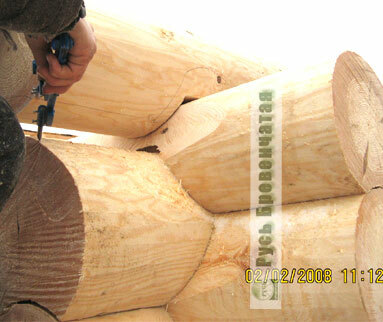 On external corners the additional gap between logs about 5-8 mm is left. We will notice that for internal parts of walls this gap should not exceed 2 mm. 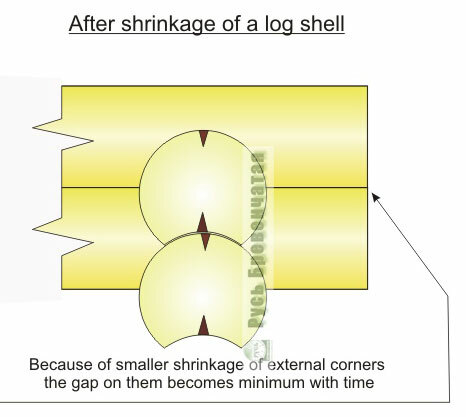 Owing to the deformation of logs caused by non-uniform shrinkage of logs on corners and in the central parts of walls, the definitive gap on all length of a log will be uniform and minimum (fig. 2). As it looks in practice is shown in drawings 3...6. Pay attention to gaps between logs in corners of house. By the way, in drawing 3 the hand of the master of "Log Russia", putting a line of the future groove by means of the special tool - "line" is shown. Let you not be confused with a shade of logs on fig. 5 and 6, these photos are made in winter in cloudy weather. We hope, that the received knowledge will help you to order and construct the House, worthy you and which would not disappoint you not only now, but also in the future. 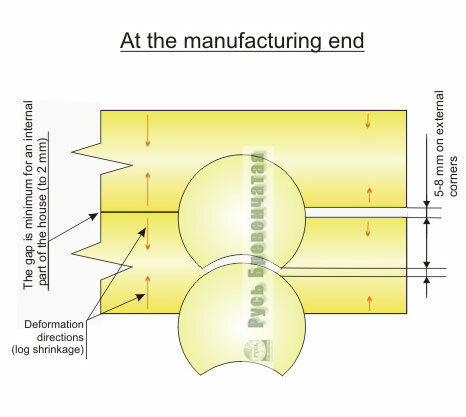 The material of this section is very close with sections of "undercut" and "features of shrinkage of walls made of an oval-flatten" and if you are not familiar with them yet, we advise You to read them.